Simpson Heating & Air is proud to serve the Canton community! 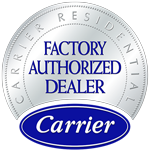 About Canton, OH - Happy to be your hometown Heating & Air Conditioning Contractor! Canton, Ohio is a large city located in Stark County. 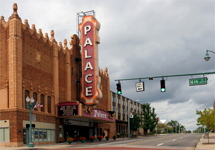 The city itself has a population of approximately 73,000 residents, although the larger Canton-Massillon, OH Metro Statistical Area has a population of nearly 405,000. Canton is located about 24 miles south of Akron and 60 miles south of Cleveland within the northeastern portion of the state. This community is notable for two main reasons: football, as the Pro Football Hall of Fame is located here, and William McKinley, whose front porch campaign at his home in Canton won him the U.S. presidency in 1896. Visitors of Canton have a variety of attractions that they can visit when in the city. In addition to the Pro Football Hall of Fame, there are other popular museums in the community, including the Classic Car Museum, the McKinley Presidential Library & Museum, and the Blue Water Majesty Museum. There are several local hotspots that art lovers might like to check out, such as Lynda Tuttle’s Art Center, the Downtown Canton Arts District, and the Canton Museum of Art. Additionally, families might like to spend time hiking at Petros Lake Park or checking out the shopping at Belden Village Mall. Canton is part of a humid continental climate zone, which is typical of the Midwestern U.S. This means that the summer months are humid and very warm. While average high temperatures reach the average of 82 degrees in July, there are several days each season that experience highs that exceed 90 degrees Fahrenheit. Thunderstorms are also quite common, and the best way to prepare for any summer weather is to invest in a reliable central air conditioning system. Winters in Canton are cold, with average high temperatures in January only reaching about 33 degrees Fahrenheit. Snowfall tends to be lighter here than in the Snow Belt located just north of the city, but it is still crucial that residents stay safe with an energy-efficient furnace systems. An HVAC professional can help you to choose the best system for your home.